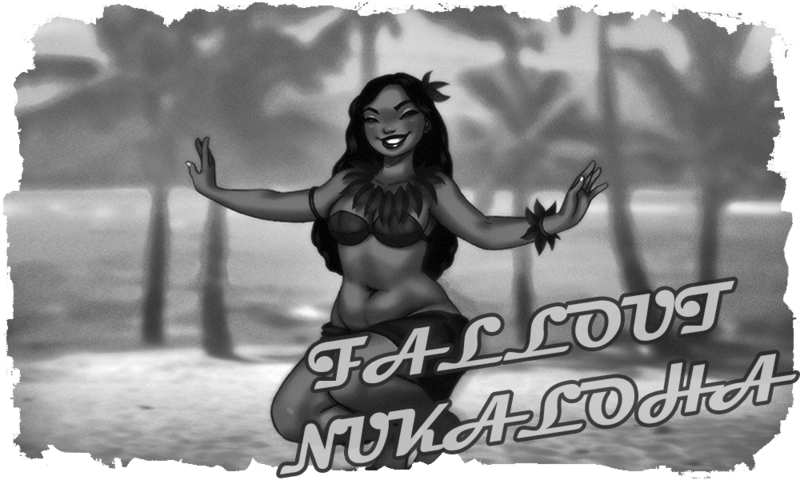 3/30/2262: Since the Enclave wishes for the country of Ohana to continue existing they release a genetically modified abomination upon the island of Hawaii, hoping for it to slow down the Super-Mutant and raider attacks and this way give the country a small break to economically and socially recover. From their Vertibirds they launch packages filled with Cazaclaw eggs, a monster made from the two most deadly creatures from the Wasteland. Soon the eggs hatch and the monsters start mowing down Humans, Super-Mutants and critters alike. 7/1/2262: The island of Hawaii becomes so radioactive and filled with Cazaclaws, Raiders and Super-Mutants that it becomes a forbidden area for the Ohanans. Anybody caught travelling to the island will be executed. 1/15/2273: Following the Enclave and searching for new technologies, the Brotherhood of Steel reaches Hawaii in the repaired PMV Valdez. After docking some miles away from Oahu they create a minefield around them and settle on Kauai. 4/17/2279:The first armed conflict between the Enclave and the Brotherhood erupts. The Enclave manages to defeat the Brotherhood platoon but feels persecuted and on the brink of extinction. 6/7/2280: The Brotherhood starts winning the fight against the Enclave. While the Enclave has the technological advantage the Brotherhood has way more numbers and firepower on their side. 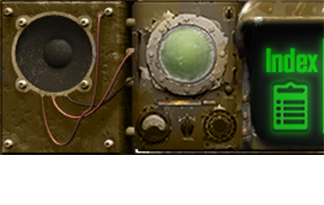 The Enclave decides to turn the tide with the use of an army of Eyebots. 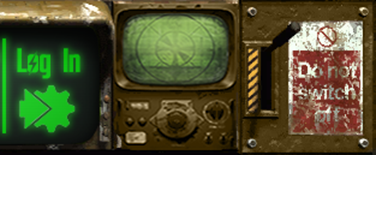 They deploy them around the Wastes, blasting Enclave propaganda and attacking all the Raiders and Mutant creatures that they find. With the help of their propaganda and their robots the local population of the islands starts considering the Brotherhood as invaders. 2/21/2282: Two red rockets launched from Repconn in the Mojave Wasteland lose fuel during their journey but manage to reach the Moon’s orbit. They unstably orbit around the satellite while the Ghouls inside start panicking and infighting. 2/21/2285: One of the Engines of the PMV Valdez breaks down. The Brotherhood travels by Vertibird to Lana’i to meet with the Sons of Kanaloa in the search of help but the Enclave, taking advantage of their greediness, pays them dearly for them to reject the Brotherhood no matter what. Desperate, the Brotherhood travels to Fallen Horizon to buy one of their engines, but the Captain of the ship, this time on its own volition, rejects their offers. The Brotherhood Paladins get nervous and angry and insults the local population, which leads to a violent confrontation with several deaths on both sides. The Brotherhoods ends any further antagonism. 3/16/2289: The two REPCONN rockets ultimately fall from orbit, crash on the moon and explode violently. The nuclear missiles China and America left behind are reactivated and detonate while underground. The Moon is cracked open and ends completely busted. 2/21/2289: Several automated emergency signals start sending distress signals to several frequencies in the United States. 2/23/2289: Fragments from the Moon fall to Earth as flaming meteorites, causing several damages all across the Islands. The newly cracked Moon also causes catastrophic tides; several small settlements are completely destroyed by tsunamis. Just when the country of Ohana was starting to recover they once more suffer another catastrophe. People die by the thousands. 5/3/2293: The Enclave learns about the New California Republic-Brotherhood of Steel war and of how the NCR, even despite having inferior technology, managed to decimate the Brotherhood due to sheer numbers and attrition tactics. There is a cultural revolution among their members and they decide to cease being mere Mercenaries to become something much more. With this in mind they start to plan how to turn themselves into the rulers of Oahu and ultimately all of Hawaii. 5/3/2293: To maintain a steady income of caps and resources some members of the Enclave decide to continue being mercenaries. They are allowed to do so on the condition of fighting on the Enclave's orders when necessary. 1/1/2300: With the start of the New Century the Enclave decides to secretly invade the country of Ohana to turn it into their own puppet country. They have already infiltrated several of their own into the Ohanan government and at the start of the New Year they stage a Coup d'état, establishing themselves as the only political party while creating a police state. Ghouls, Psykers, Robots and Super-Mutants lose most of their rights, the country becomes technologically improved thanks to the Enclave's technology and everybody becomes enrolled in the army at the age of 16. The Enclave also uses mind-rewriting, hypnosis and subliminal messages to forcefully maintain the population happy and obedient despite the country's many flaws. The population is brainwashed into thinking that Humanity is superior above all, that the Brotherhood is a group of evil invaders and that its their right to regain control of all of Hawaii and then America at all cost. 1/1/2318: The Brotherhood has many problems to explore the ruins of Hawaii. The Enclave has put a price on their heads and anytime they are in the open they are either attacked by crazed raiders, mutants or Enclave followers. Since all of the times they leave their ship it ends in violence it cements their stereotype of being evil invaders. Unable to go out in the open they decide to infiltrate and kidnap Ohanan citizens to clean their minds of all the Enclave brainwashing. Ultimately and after several years they manage to establish a Resistance that starts attacking high profile individuals and sabotaging important buildings.